Marching from Fort Monroe, Union Maj. Gen. George B. McClellan's Army of the Potomac encountered Maj. Gen. John B. Magruder's small Confederate army at Yorktown behind the Warwick Line. 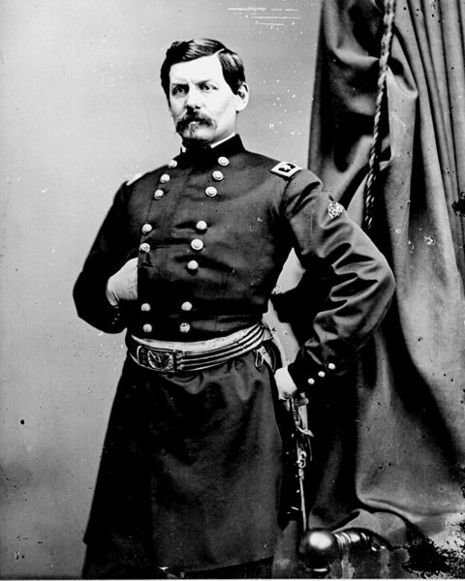 McClellan suspended the march up the Peninsula toward Richmond and settled in for siege operations. On April 5, the IV Corps of Brig. 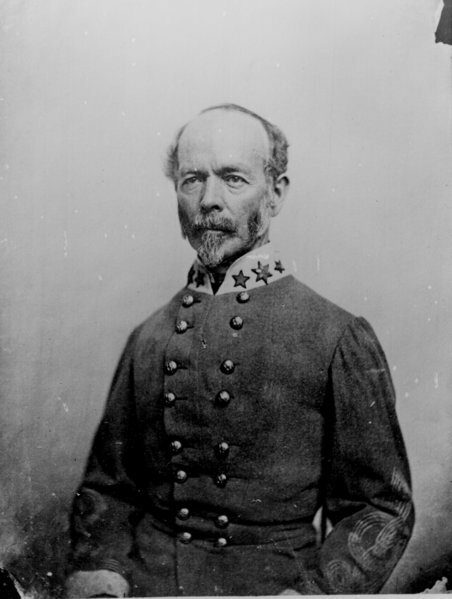 Gen. Erasmus D. Keyes made initial contact with Confederate defensive works at Lee's Mill, an area McClellan expected to move through without resistance. 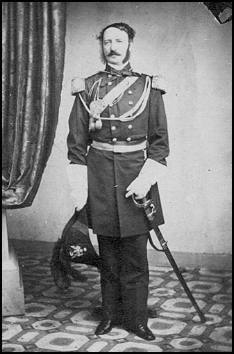 Magruder's ostentatious movement of troops back and forth convinced the Federals that his works were strongly held. 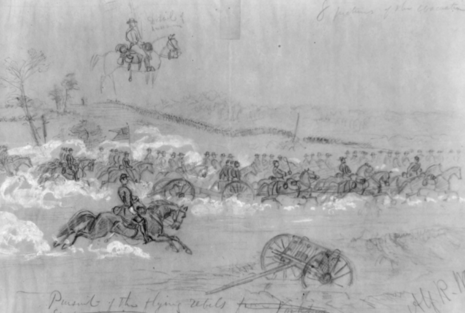 As the two armies fought an artillery duel, reconnaissance indicated to Keyes the strength and breadth of the Confederate fortifications, and he advised McClellan against assaulting them. 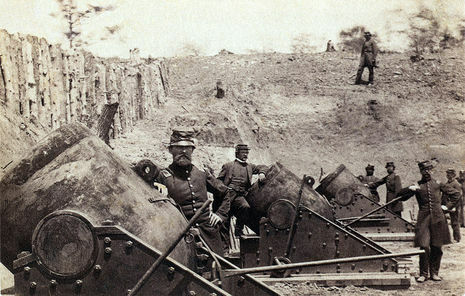 McClellan ordered the construction of siege fortifications and brought his heavy siege guns to the front. In the meantime, Gen. Joseph E. Johnston brought reinforcements for Magruder. 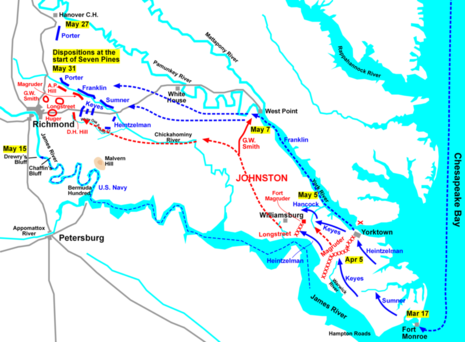 On April 16, Union forces probed a point in the Confederate line at Dam No. 1. The Federals failed to exploit the initial success of this attack, however. 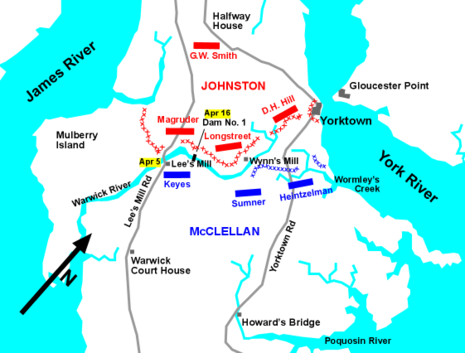 This lost opportunity held up McClellan for two additional weeks while he tried to convince the U.S. Navy to bypass the Confederates' big guns at Yorktown and Gloucester Point and ascend the York River to West Point and outflank the Warwick Line. McClellan planned a massive bombardment for dawn on May 5, but the Confederate army slipped away during the night of May 3 toward Williamsburg. The battle took place near the site of the 1781 siege of Yorktown, the final battle of the American Revolutionary War in the east.